One word to describe the Mugler SS18 woman: daring. 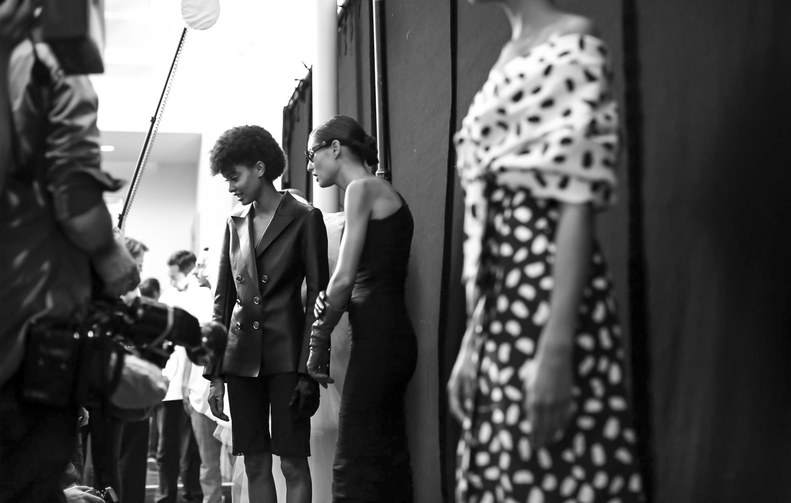 Creative director David Koma brought an integral part of the brand’s ethos: corsets. 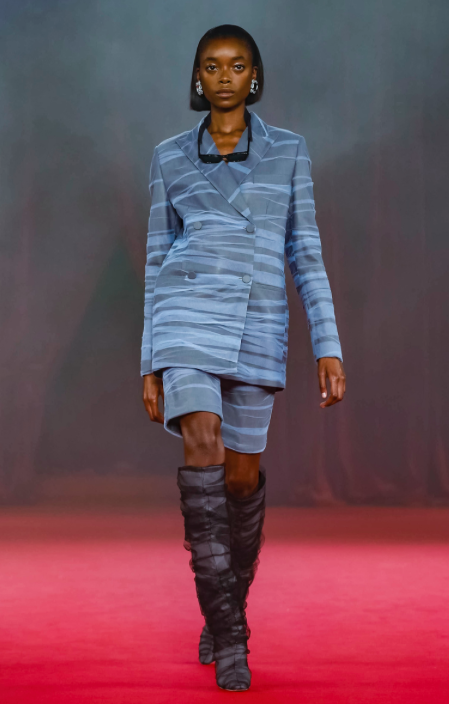 The collection presented looks that combined both ends of the spectrum, femininity with rebellion. A futuristic Mugler vibe was present, sleeveless jumpsuits, lace mini dresses, bandage dresses and chiffons all present. Something for the badass heroine and the damsel in the distress. An applaudable and highly desirable array of looks courtesy of Mr. Koma. Virgil Abloh has made him mark on fashion with his brand “Off- White”, and it’s not just the youth in his streetwear but some of the most desirable names in the industry. Everyone wants a piece of him. Over the past year numerous rumors have circulated the streets placing his name in the same sentence as Versace and Givenchy; what is he going to do next? The SS18 was heavily inspired by Princess Diana’s style but has his touch upon the tribute. 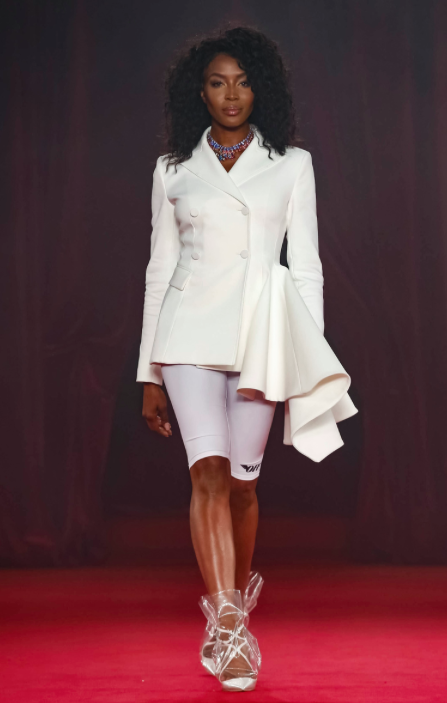 Trainers with skirts suits, tailored suit jacket with cycling shorts, black leather trousers and a bare midriff and various tight black dresses inspired by the “revenge dress” worn by the Duchess the day Charles admitted his affair. 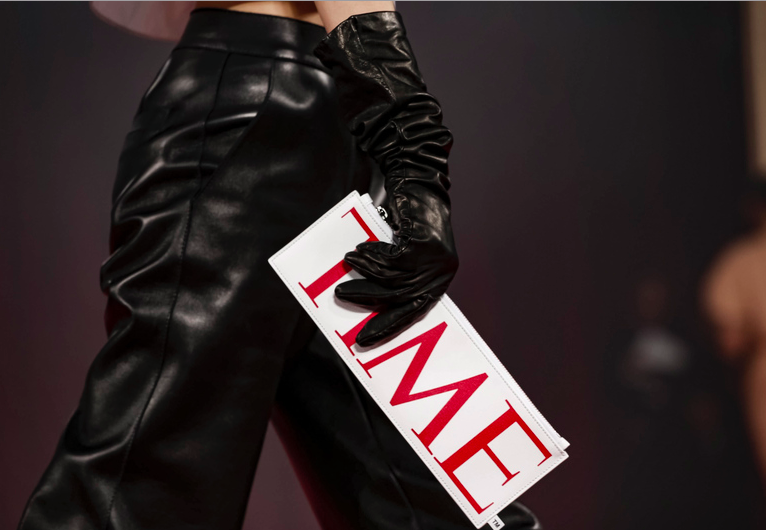 Accessories included clutches in the shape of famous magazine logos like ‘People’ and ‘Time’ and a collaboration between Off- White and Jimmy Choo for the heels.